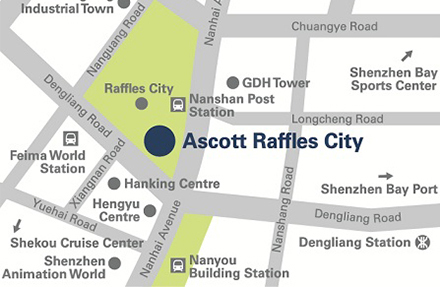 Located at the junction of Dengliang Road and Nanhai Avenue in Nanshan District, Ascott Raffles City Shenzhen sits on a prime location at the heart of Nanshan District. 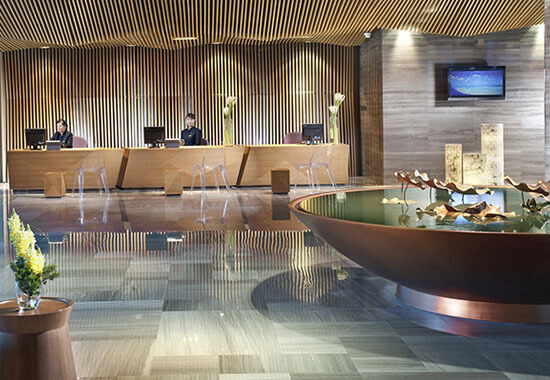 A vital component of the Raffles City Shenzhen integrated development complex consisting of Grade-A office buildings, high-end shopping malls and deluxe residences, Ascott Raffles City Shenzhen is designed for ultimate comfort and easy convenience for global business travelers. 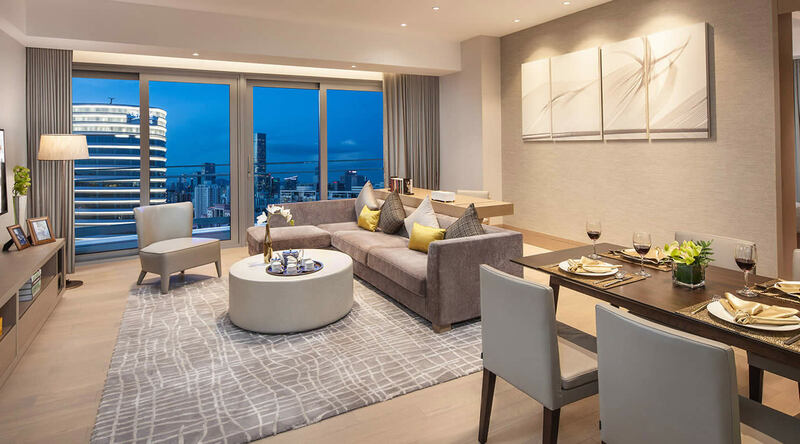 From the residence, the Shekou Cruise Centre and the Shenzhen Bay Port are a mere 10 minutes away; the Qianhai Shenzhen-Hong Kong Modern Service Industry Cooperation Zone and the Houhai Financial Headquarters are also at a close proximity. 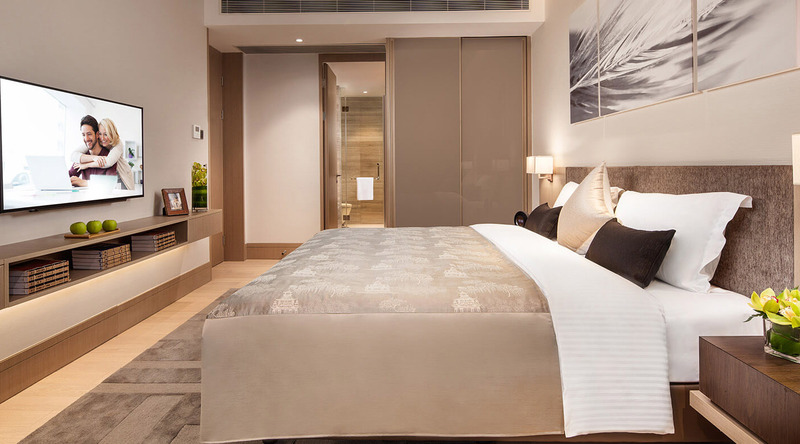 At the end of a long day, residents can unwind at the gymnasium and indoor heated swimming pool, or rejuvenate through meditation at the yoga room or with a game at the mini golf course. 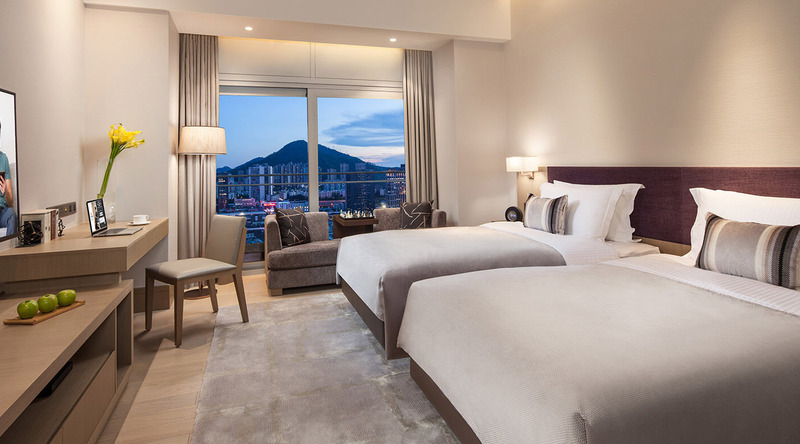 Enjoy a drink on the outdoor terrace with friends, or get to know your neighbours by participating in exclusive residents’ activities organized by Ascott Raffles City Shenzhen to experience all facets of the Ascott Lifestyle. 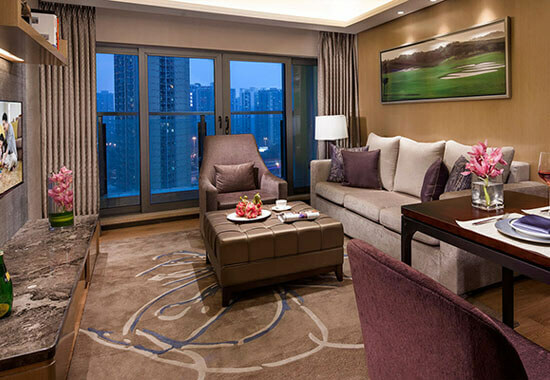 Ascott Raffles City Shenzhen is one of a luxurious collection of The Ascott Limited's serviced residences in over 100 cities in the Americas, Asia Pacific, Europe and the Middle East. 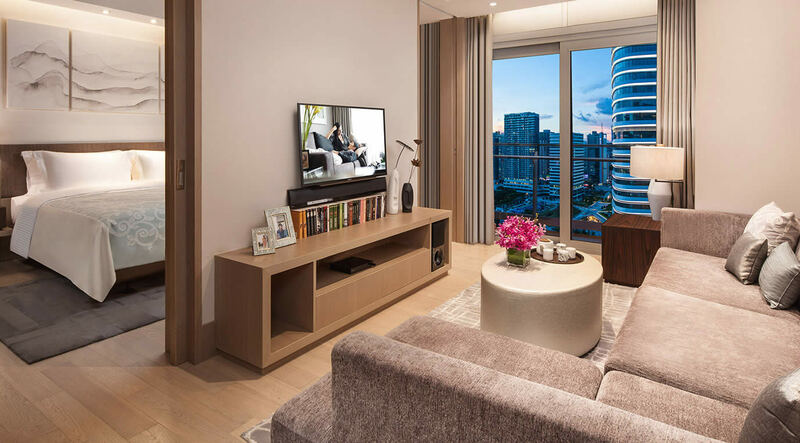 A member of CapitaLand, it is the global leader in branded serviced residences, bringing you more than 30 years' experience in supporting travellers who work and live away from home. Live the life you desire with the Ascott Lifestyle, a collection of lifestyle experiences handpicked for your indulgence during your stay. Because life is about living. 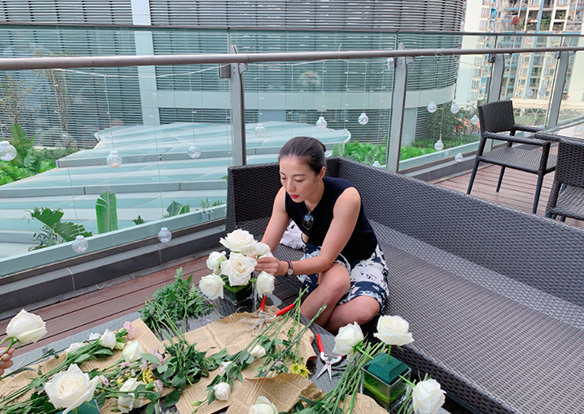 In order to enrich residents’ weekend life, and encourage them to learn more knowledge in fun, Ascott Raffles City Shenzhen organized a Floriculture Class on 18th Nov. In the outside terrace with beautiful flowers, Teacher Ms.Cai shows us how to make a beautiful potted plant out of flowers and techniques. Then the residents began to make the plants by their own hand. During this process, they realized that it is not easy to make a flower plant even it looks simple. After the class, our residents bring thier own plant back home with a wonderful sense of accomplishment. 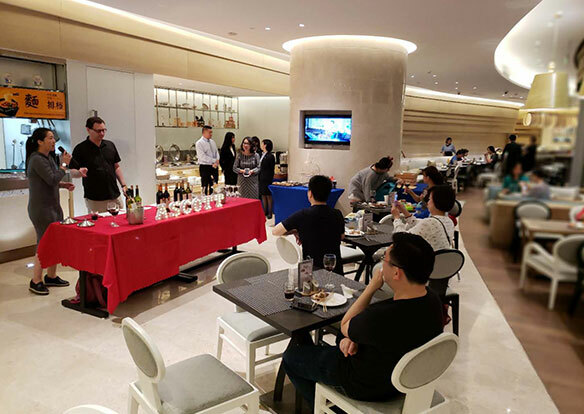 Before the hot summer days arrival, Ascott Raffles City Shenzhen held the wine tasting and BBQ dinner for guest. Guests not only learned the origin of red wine, different varieties of red wine matching dishes and the distinction between the taste, also spent a pleasant Friday night in red wine's unique refreshing fragrance and delicacy.